Compressed air and woodworking definitely go hand-in-hand. There is a whole collection of air tools to use, and they are typically quite a bit cheaper than their electric powered equivalent machines as the energy conversion from electricity to mechanical is done by a single machine (air compressor) rather than each and every tool doing the same (there is a small step of converting the potential energy in the compressed air to mechanical kinetic, but that is pretty simple). That concept does harp back to the workshops of old, with line drive, belts and pulleys etc, but compressed air is a lot easier to move around the workshop! Other than nail guns, impact wrenches, sanders etc, there is always the convenience of a burst of compressed air to clean out a cut, clean off a tool, and even to sweep the workshop floor! I also have a few vacuum clamps that use compressed air to generate significant grip on the component. (Using a venturi effect to produce low pressure, then the atmospheric pressure does the rest). 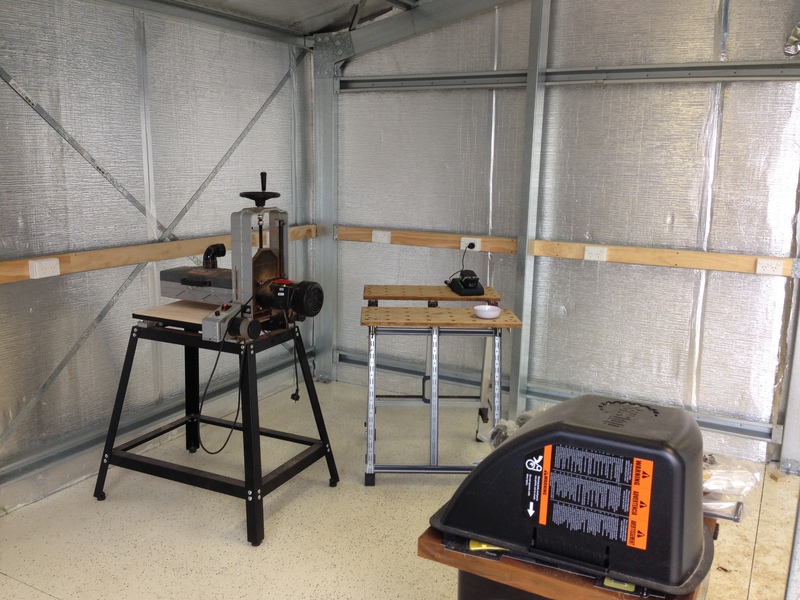 Getting air around the workshop can either be with long hoses, or in my case I am going to use the RapidAir setup from Professional Woodworkers Supplies. After running what will effectively be a pneumatic ring main around the workshop, at strategic points there will be individual tap points, to plug the tool straight in. 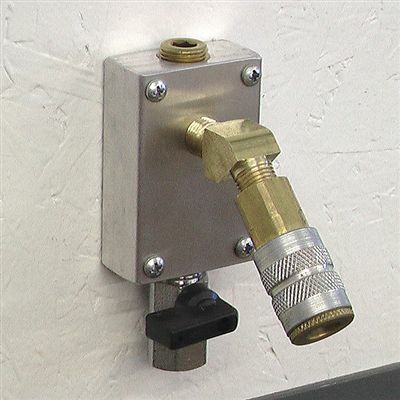 These come with the valve, and aluminium mounting block, so will fit in very well with the workshop layout. I might put an outlet up on the mezzanine, and probably one by the drill press. The ring main then allows a balance of air to each outlet (especially if there is more than one demand on the circuit at the same time), and for others to be easily added for future design changes or needs. Will probably start installation next weekend. I will give a better tour of the shed, and the electrical layout in the near future, but in the meantime – here is a sneak peek. Power is entering the shed from under the slab (through a conduit I put in place during the slab pour). It is coming from a 63A breaker on the main switchboard, to a second 63A breaker on this panel located near the roller door. 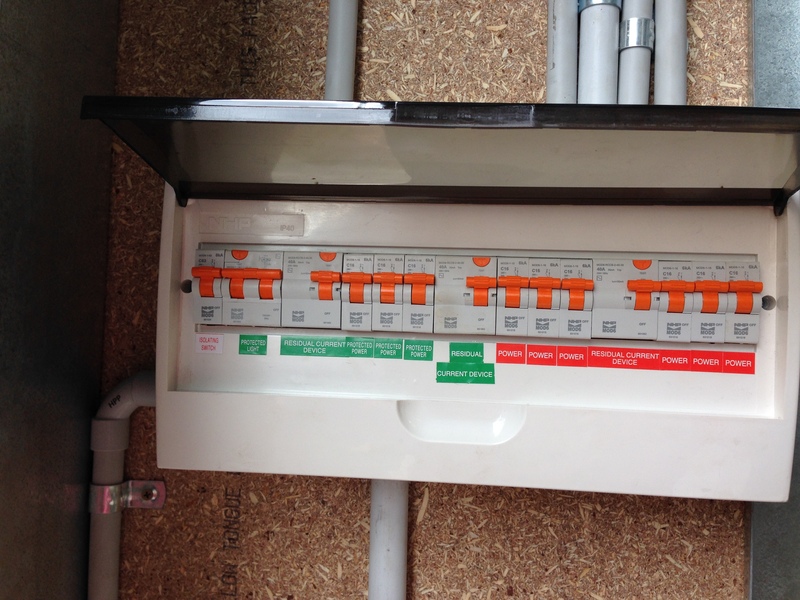 There are a number of circuits running off this, including lighting circuits, multiple 10A circuits (5 or 6? ), 15A circuits (3). When the electrician comes back after the long weekend, I will get a run down of each circuit and breaker. 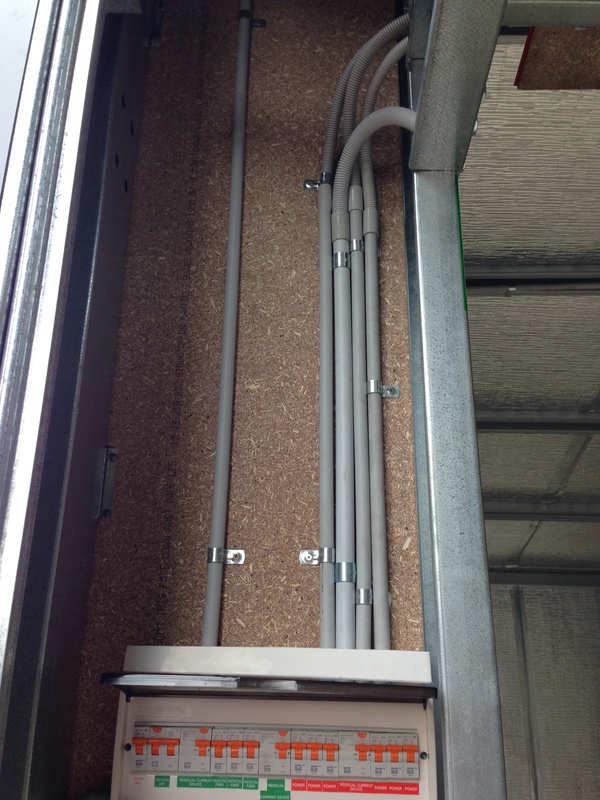 Some of the conduit running away from the switchboard and off around the shed. 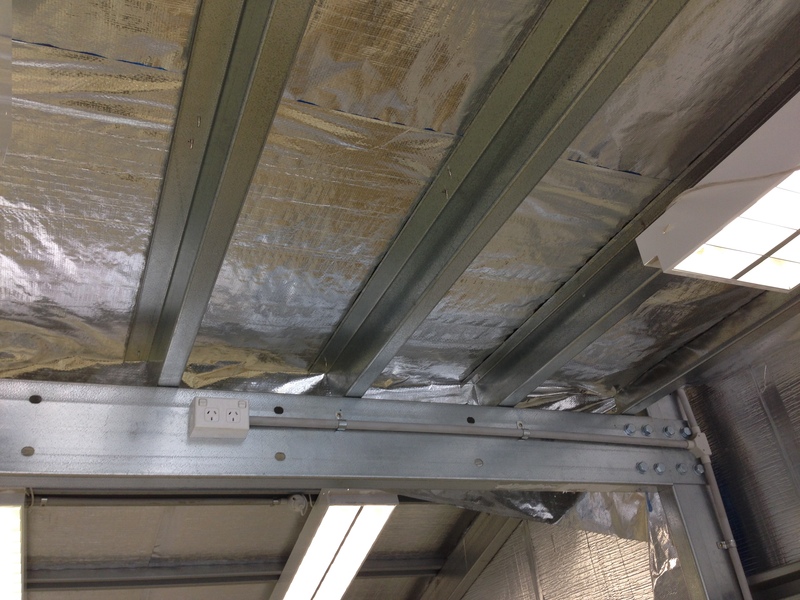 All wires potentially susceptible to damage are encased in conduit to protect it. That is to stop any being damaged, and then causing the metal shed becoming live. 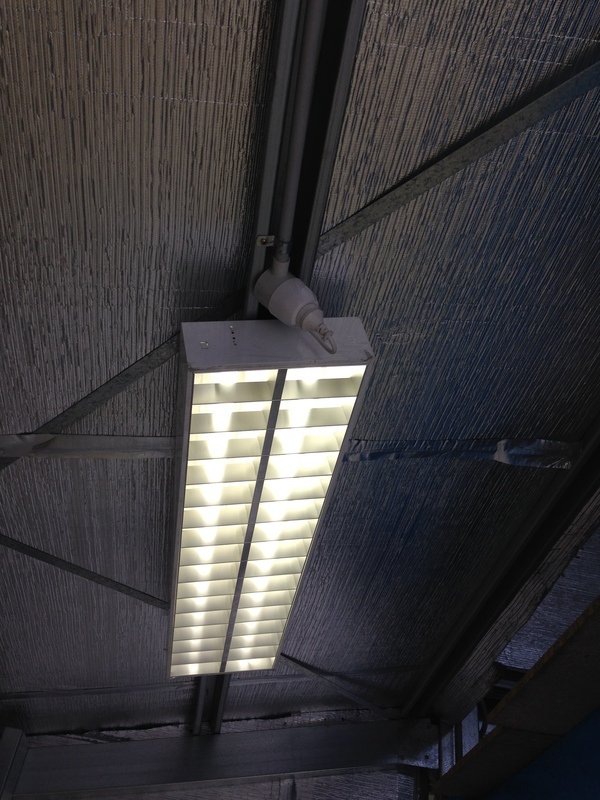 The lighting circuits run to GPOs at each lighting position. As these light tubes are wired with a standard 10A plug, this makes it very easy to connect the lights, and unplug and remove (and replace) any that ever become faulty. If you look closely, you’ll notice a GPO on the main cross-beam in the second picture….. 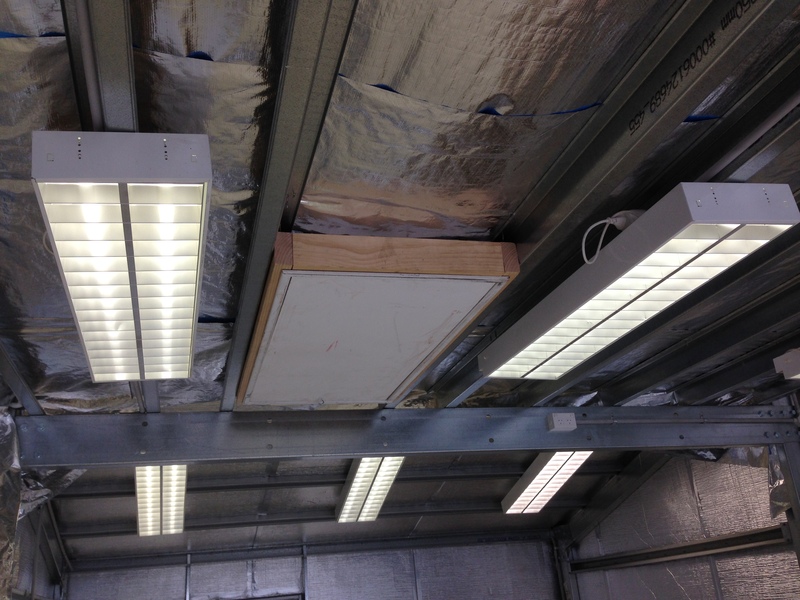 This is specifically placed here, as it is for the roof-mounted air filtration unit. Then, there is power all around the perimeter (and on the one support post), all double GPOs. You’ll notice the wood trim all round. This is an alternate to running conduit everywhere, as instead the power is run inside the top hats, and then this is faced with the pine. I chose skirting board for this – Masters had it on special and it was exactly what I was looking for. Rounded top face, exactly the right width. It is screwed in place, so very easy to remove for access to the wiring if ever needed (installing additional points for example?!!!?) I also chose it because it looked a bit classier than just MDF. It is raw, so I can always apply a finish if I feel so inspired. In the back corner where the lathe will go, you’ll notice an additional switch in between the two GPOs. 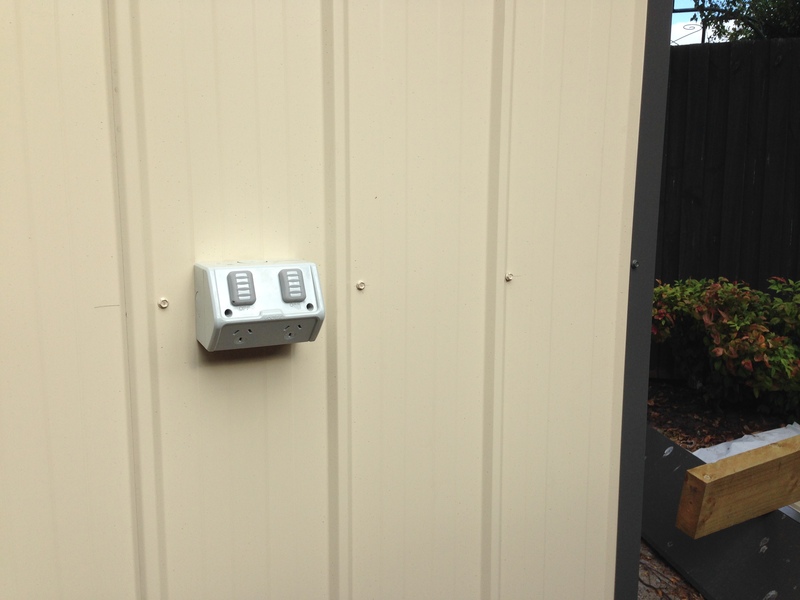 This is an additional isolating switch for the external GPOs on the rear corner of the shed. 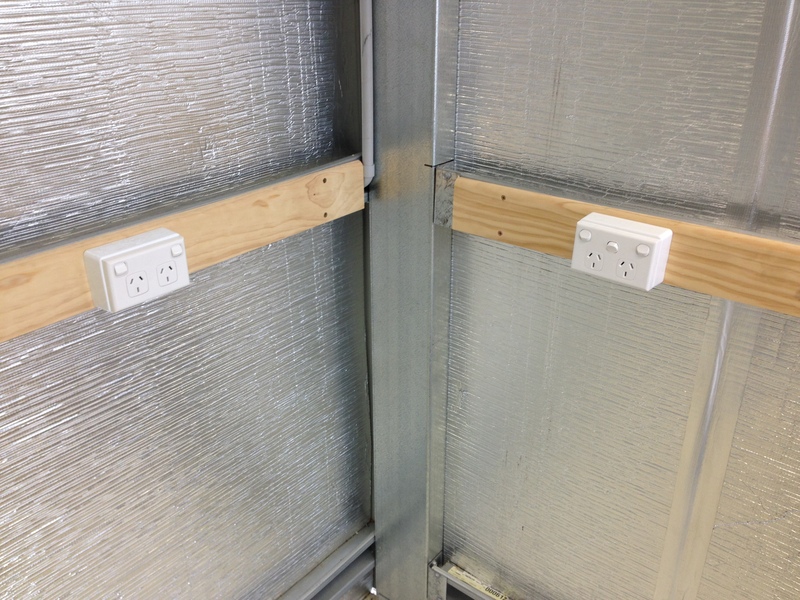 These are installed to allow an air compressor (and lights) to be plugged in from another shed, so I don’t have to put up with the noise of an air compressor in the main shed. The isolator switch means I can turn off the air compressor at the end of a session from the main workshop, without having to go out to the other shed. So that is a bit of an overview. As machines are rolled in, the number of GPOs becomes better explained, as there are a lot of machines to plug in, without having to resort to power boards and extension cords. Back in the dim depths of the past, when there was still a company called GMC, selling cheap Chinese-made tools, I bought an air compressor. It was a direct drive, GMC 40L air compressor, and I thought it might be useful in the workshop, but I wasn’t sure – the compressed air for cleaning up sounded promising. Well that was then. These days, I am convinced that compressed air is a great resource for any workshop, and even so I am not maximising how much I could use it. I have used it to clean up (compressed air), inflate basketballs, pool toys. The impact driver to free rusted bolts from reclaimed timber, and nail guns obviously, large and small. Worked really well – perhaps not surprisingly, but I shouldn’t have been ignoring it for so long – would make an interesting finish applicator. (I have 2, so one dedicated to paint and one to wood finishes is easy enough to prevent cross-contamination). It was a hot day, and although I had thinned the paint right down, it became increasingly difficult as the day progressed. A few blockages as the paint inside the container dried on the walls, then some flaking off blocked the jet. The paint that I had watered down (thinned for spraying) was trying to form a skin, so I used a kitchen sieve to capture any lumps of paint as I refilled the container. The 40L air compressor really struggled to keep up – I could have finished the job in half the time (or better) if the compressor had a larger reservoir, and/or refilled faster. The heat of the day really did play a part, not only on the paint and the tools, but on me as well. Hydration only goes so far, I needed to keep the sun under control. A hat is fine, sunscreen as well, but I needed to really get the sun off me, and my solution would have made Ford Prefect proud. Still, I am impressed with the air compressor – I have shown it no love for the years it has been languishing in the back shed, pumping away without care or maintenance. The last time I emptied the tank of water condensation, about 20L of water came out! I am constantly amazed the whole thing hasn’t failed years ago, but it keeps pumping away. It wasn’t until near the end of the day that I remembered the compressor was still buried in all that sawdust from the failed dust bag. When it does finally give up the ghost, I will replace it with a serious compressor with a decent reservoir, but until then, it can keep pumping away! Back to the spraying, and it really got difficult – it was spluttering, bursting (as in a puff of paint, then just air, then paint), and often spraying so little paint that I was painting with air. It wasn’t until late in the piece that I realised what was happening. After the first few fills of the container, paint was building around the upper edge and lid, and it became (semi) airtight. The air was blowing, but without atmospheric air pressure inside the container, no paint was being drawn up! I solved it temporarily by opening and closing the container regularly, and finished the job, but in the long term it will need a hole drilled. But despite the setbacks, and the lessons learned, it worked, and the lattice got painted. 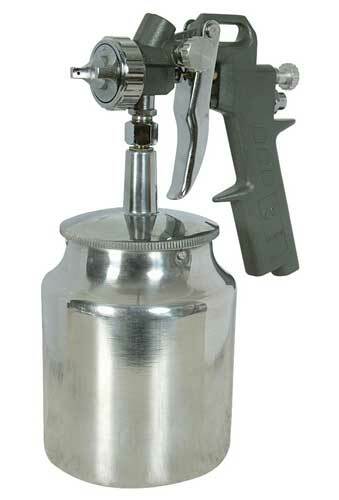 And my sprayer finally got commissioned – only been about 10 years! Some weekends there really isn’t time for anything it seems, and if you get even 30 minutes, that is a real bonus! Next, I chipped out the concrete between the 2 cuts to form the channel, and again the air compressor came to the fore. That, and a pneumatic hammer connection I got as part of a basic pneumatic tool kit. So hopefully it is enough – will know the next time it rains (heavily). So probably some time July 2027. Next job is to install the guttering which I picked up today, and my list of tasks for the shed upgrade will be finally getting short. Do you take enough care of the health of your air compressor? Do you know what your air compressor is breathing in? 3 questions I haven’t given much, if any thought to, at least not in the last 12 months or so, and yes, I should know better. My air compressor lives in the shed next door to the workshop, to cut down the noise (and to save a little space), but it also then becomes a matter of out of sight, out of mind. Not a good thing. Firstly, the oil. I keep meaning to do an oil change of the compressor, and it is long overdue. There are moving parts in the compressor, which means that it needs lubrication, and that is obviously important – no lubrication, and the compressor will very quickly become a boat anchor. However, the other thing that the oil does, is store all the particles that have worn off the components, and that is not cool – do you really want to lubricate the small tolerances in the air compressor with metal shavings? I’ve no doubt that there is a lot of unnecessary scarring inside mine from just that. Air quality. Obviously the air compressor has some form of filter on it, but when was the last time you cleaned / replaced it? Do you run the air compressor in a dusty environment, or is it getting a good supply of clean, filtered air? Like the oil, particles in the air will cause significant damage inside the pistons. Last, but not least, and related to air quality – how dry is that air? 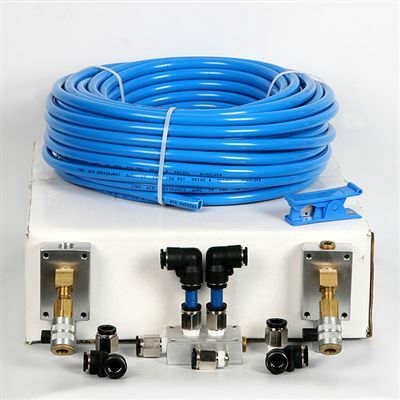 Quality air compressors have drying filters on the air intake, but that is a bit of a luxury for a small air compressor, but perhaps worth considering if making a simple one wouldn’t be worth while? Moisture in the air (even tiny amounts) will accumulate inside the tank, so venting this tank should be a regular event. Hasn’t been on mine for quite a while now. So on the weekend, as I was working on the dust system (and the dust extractor is right next to the air compressor, which probably isn’t the smartest thing, but it is the most practical location in my case), I looked at the air compressor, and it vaguely dawned on me that I switch it on and off from the other shed and it has been just a little while since I last actually considered how it was running and being maintained. So checked the oil level, and to it’s credit, it was on the low side, but still at a reasonable level. It definitely needs to be changed, but that is a job for another day. Had a listen to it, and there is a minor air leak where the flexible tube couples to it – again, I’ll tighten up the connection at some stage, but it is a pretty minor loss. Thought I’d better vent the tank a bit – there’s only ever been a few drops of water, so I got a bit complacent about it. Hmm – was this meant to be an air compressor or a water blaster? I have no idea how much water came out, but it was in the vicinity of 150ml or so – might have been more as it was under pressure, but it seemed to run and run. Oops. Was a really interesting red-brown colour too. Idiot. So I have probably significantly shortened the life of the compressor, and as I said, to its credit, it has been taking my neglect surprisingly well, but if I want it to keep going, I need to take a little more care of it in future. FWIW, it is a 40L direct drive GMC air compressor that cost all of $200. That was about 4 years or so ago, possibly even more but memory is very hazy looking back that far. I’d say that is pretty impressive for a budget machine, especially given my lack of attention! But it is well overdue for me to give it a little more maintenance than it has been receiving if I want it to keep chugging away. Headed out tonight with a view of getting an idea of stuff that will in all likelihood be finding (or at least looking for) a new home over the next few weeks (and probably joining the current collection of woodworking DVDs that I have on Ebay. Sam Maloof DVD still $0.99 – what a bargain! (Hint hint). This list is a possible collection, and is as much for my sake as anything (to remind me of what I saw in the brief look that is surplus to requirements), and I totally reserve the right to add to, and subtract from it 🙂 I was going to give a justification for getting rid of them, but I found that after the first few, the answer was the same – I have 2 (or more) already! No wonder I have space issues!! What is surprising me, is I did a bit of a purge like this a couple of years ago, and found I had enough money to buy my 6″ Jet Planer! 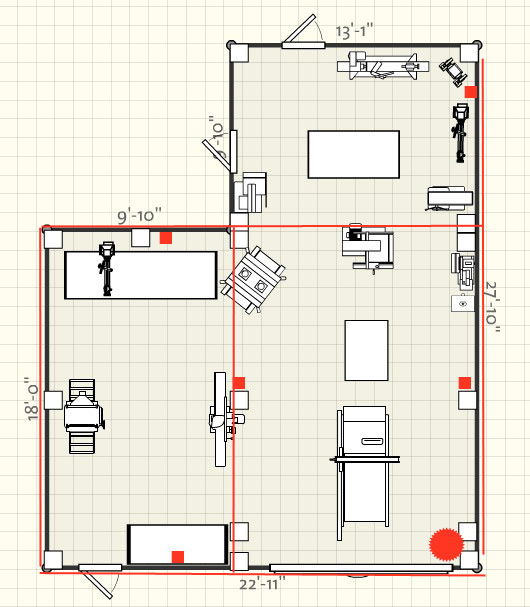 Even after all that, I wonder if I’ll actually notice a bit more space…..probably not! In any event, I’m sure that it will help on a number of levels. A purge is always a good thing to go through – I’m hanging onto some stuff for (not even good) sentimental reasons. Time to let it go to a new home! PS – just been having another thought – am seriously considering starting all the auctions at $0.99, and seeing what happens! Imagine that – if you are (very) lucky, and the only bidder, you’d be able to get a Triton Workcentre setup or a thicknesser for under a dollar! All the current DVDs have been started at 99c fwiw!